A throw back from over 15 years ago, we decided to bring back this jar because it is kind of amazing! Available in all our amazing fragrances. 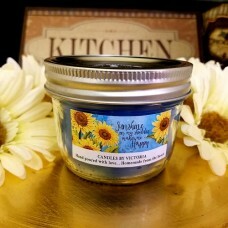 Be sure to also check out our Pie In A Jar candle, it comes in the same jar with a super cute pie crust wax topper. You can find it located on the 5th candle page.